The ancestors are those who were woven into the long currents of energy that reach back, through our bloodline, to our common origin. Our ancestral ties have a significant impact on our lives and family members. 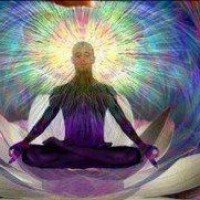 It is possible to tap into the wellspring of ancestral support and consciously embody the strengths and blessings of our unique bloodlines. Transformative work can help untangle deep-seeded negative family patterns bringing completion to prior generations and setting up what happens for future generations. You can rely on the wisdom of your ancestors for grounding and call upon their guidance to integrate major life changes. You may resolve long-standing family struggles. You can see this as a gift and an honor to do the work of healing yourself and them. As we do the work of transforming our wounds into gifts that help to bring about healing, we recalibrate our DNA. We are all part of a great cosmic symphony of particles and light, dancing together, the energy that’s never destroyed, only transformed. Through the Empowerment Process, we can heal old wounds for our entire lineage, forgive old enemies, shift conditioning and disempowering beliefs, and release the pain and energy blocks that have held preceding generations captive.